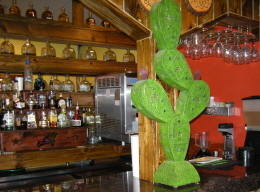 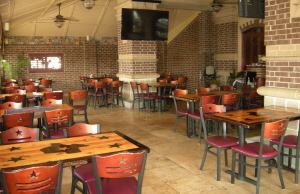 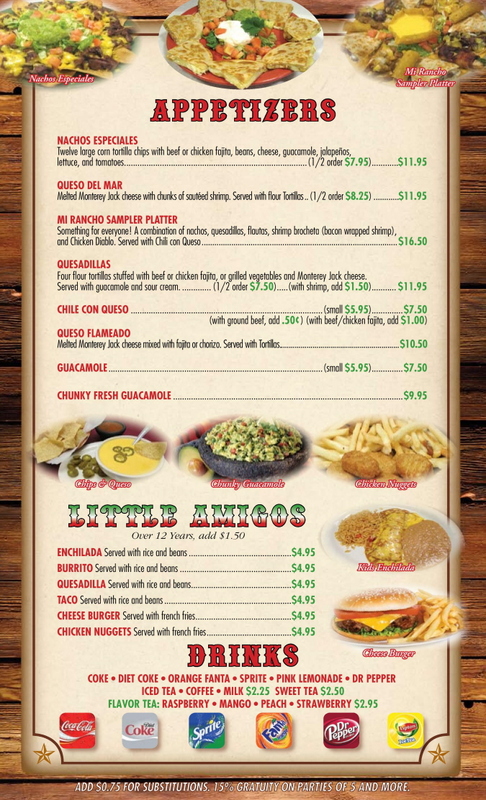 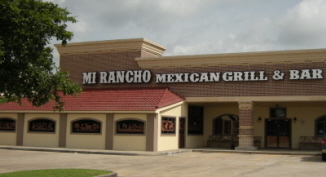 is a Mexican restaurant... located in Spring, Texas... in the Kroger Shopping Center... on FM 2920 Rd. 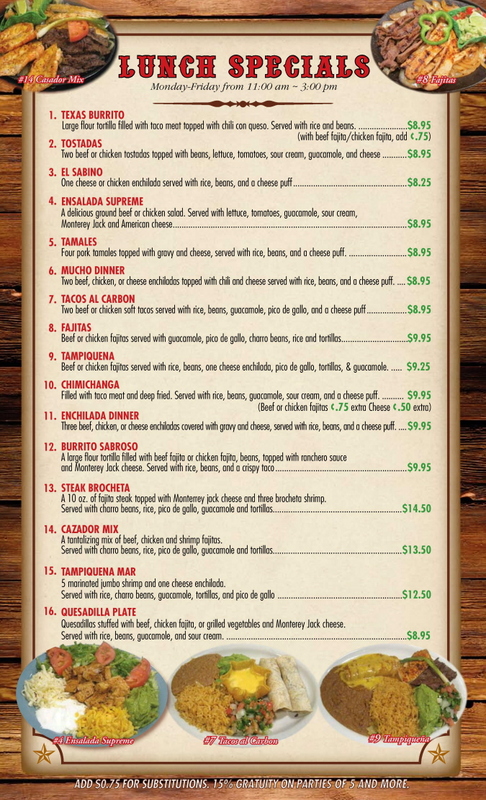 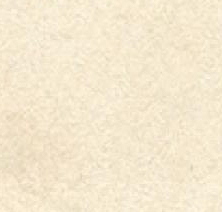 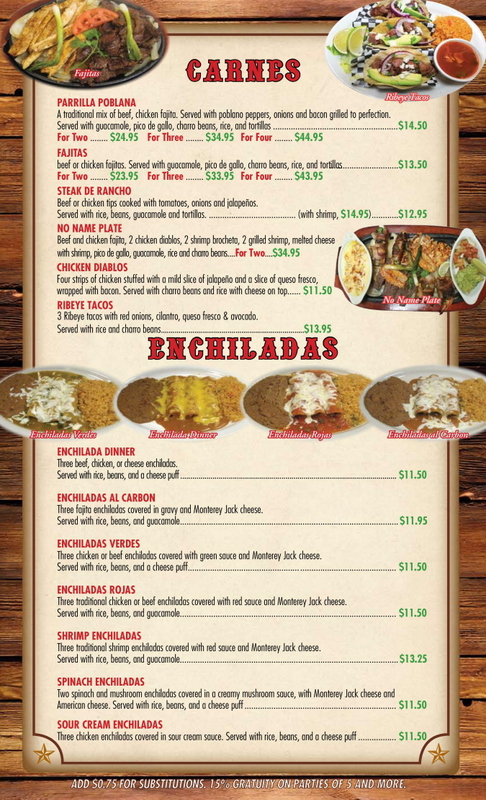 The Lunch Menu and Dinner Menu each feature classic TexMex dishes such as fajitas, tacos and enchiladas. 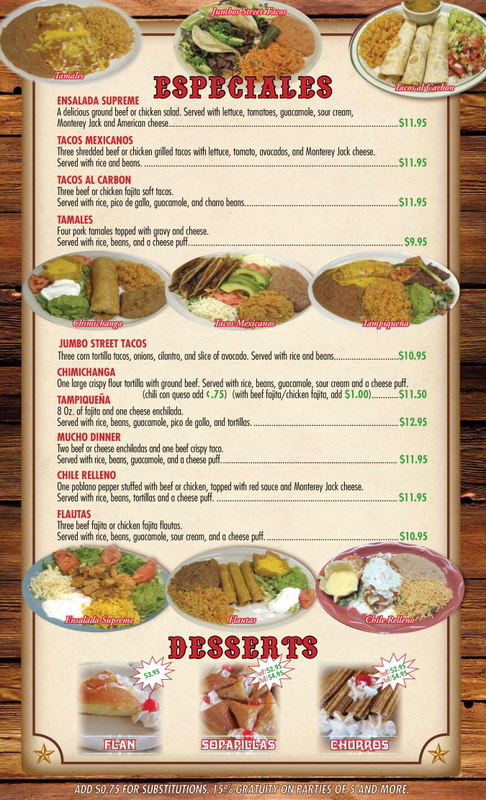 Mi Rancho Mexican Grill Specialties and Customer Favorites include: Tacos Mexicanos, Pechuga Shrimp, Chicken Diablos and Fajita Camaron! 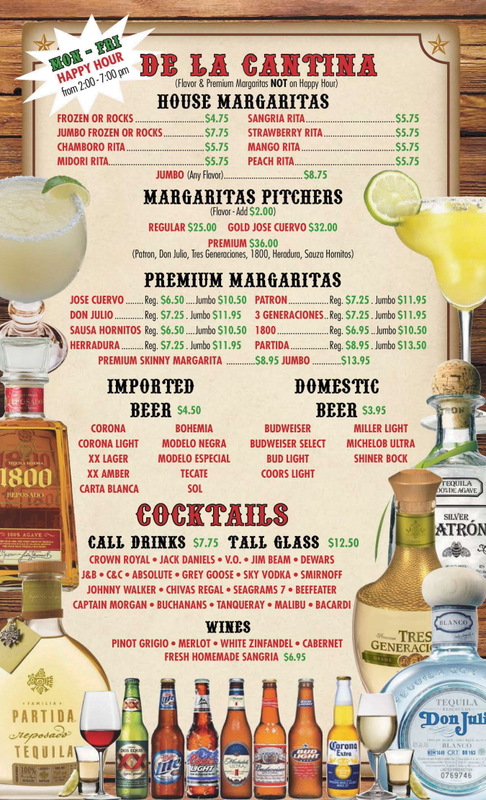 Enjoy Happy Hour at the Mi Rancho bar... have a margarita or select something from the Bar Menu which includes: domestic beer, mexican beer and wine. 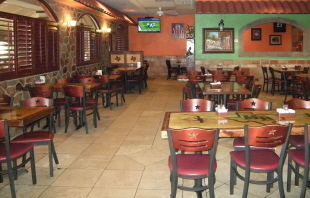 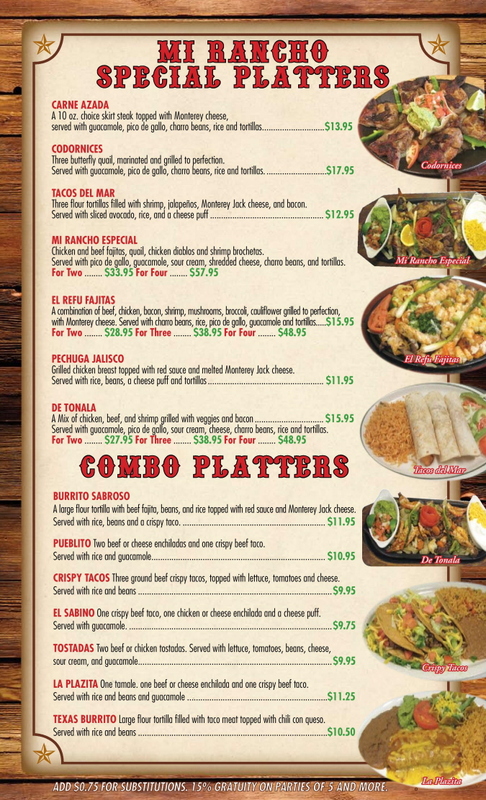 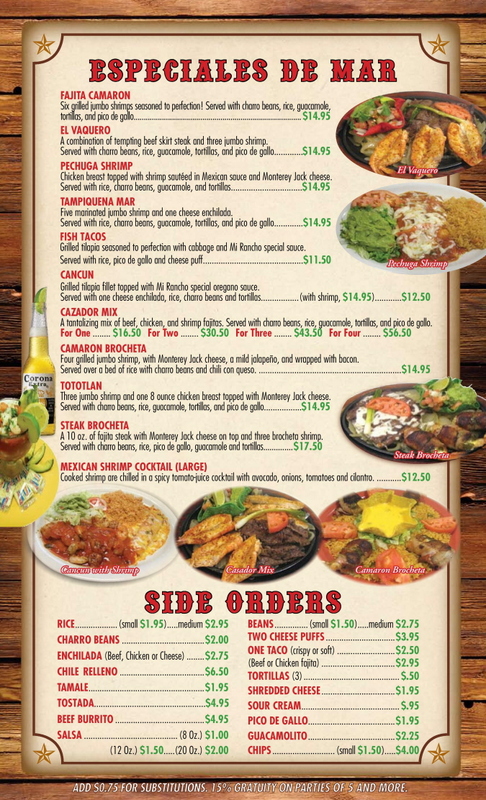 Mi Rancho Mexican Grill & Bar Website.